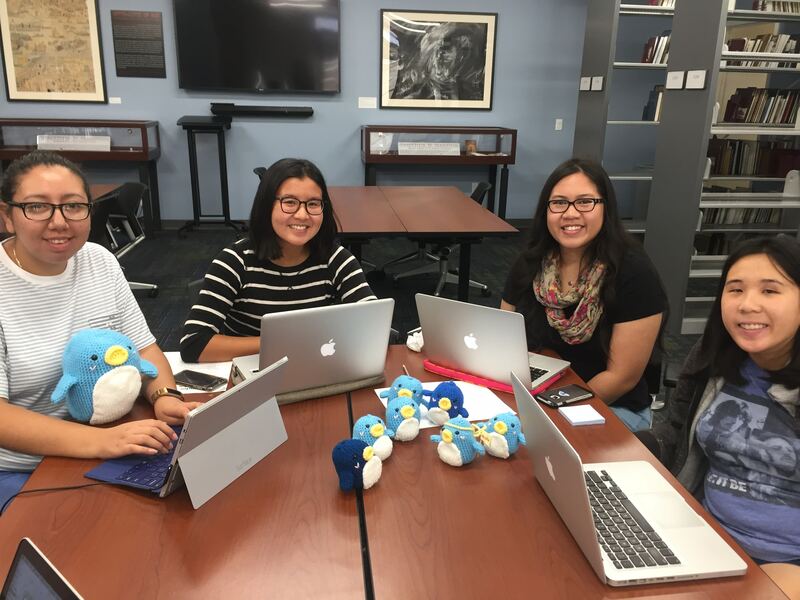 UC Irvine | AAPI Women On the Move! AAPI Women On the Move! Hello and welcome to our ZotFunder page! 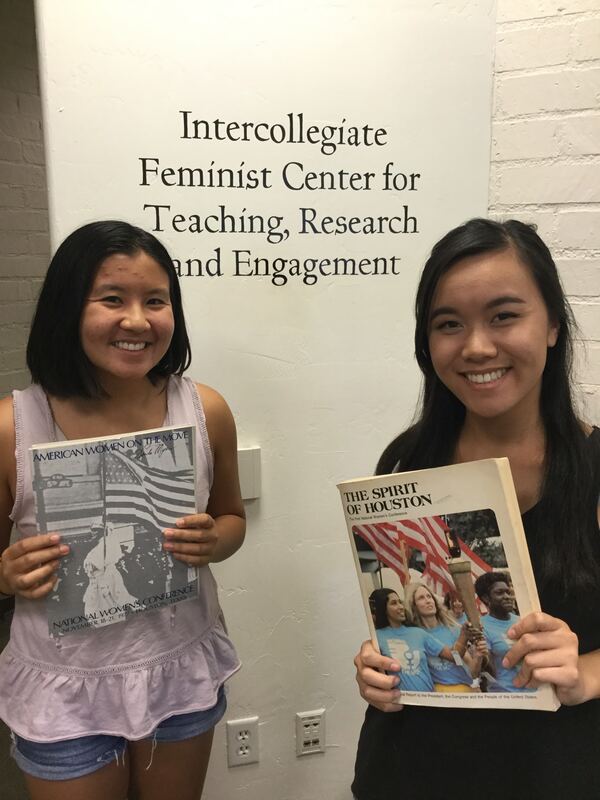 This campaign will support a UCI program led by the chair of Asian American Studies, Professor Judy Tzu-Chun Wu, and her research team to participate in the "National Women's Conference: Taking 1977 into the 21st Century" Conference in November 2017. We are seeking $1,800 to cover the travel expenses of the students for this inaugural trip and ask for your help. This funding will help our student research team to travel and present at the historic 40th anniversary commemorative conference of the National Women’s Conference. 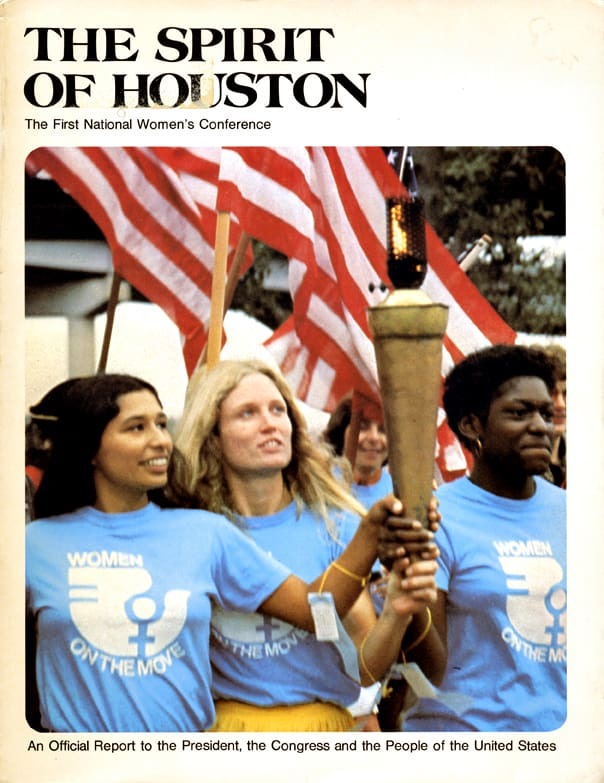 In 1977, over 20,000 people from the 50 states, 6 territories, and numerous international countries assembled to create a national agenda for women’s issues. Funded by the federal government, the NWC was inspired by the 1975 United Nations World Conference on International Women’s Year, held in Mexico City. 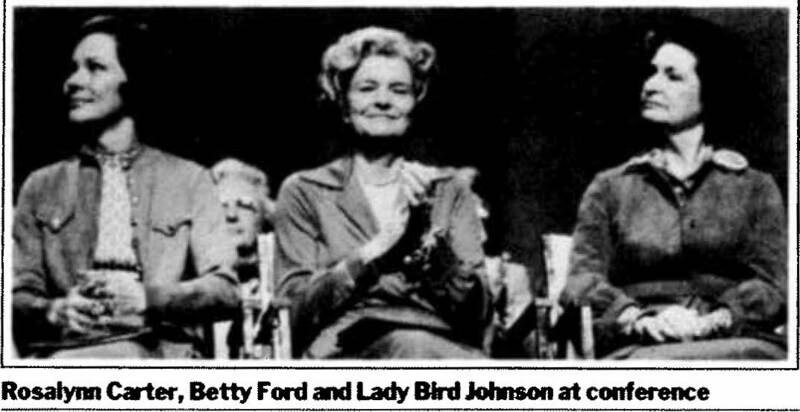 Some of the attendees included three former first ladies: Rosalynn Carter, Betty Ford, and Lady Bird Johnson. Other luminaries included: Coretta Scott King, Betty Friedan, Gloria Steinem, Billie Jean King, and Patsy Takemoto Mink, a third generation Japanese American and the first woman of color U.S. Congressional Representative. The conference began with a torch relay from Seneca Falls, New York, the site of the first women's rights convention in 1848. 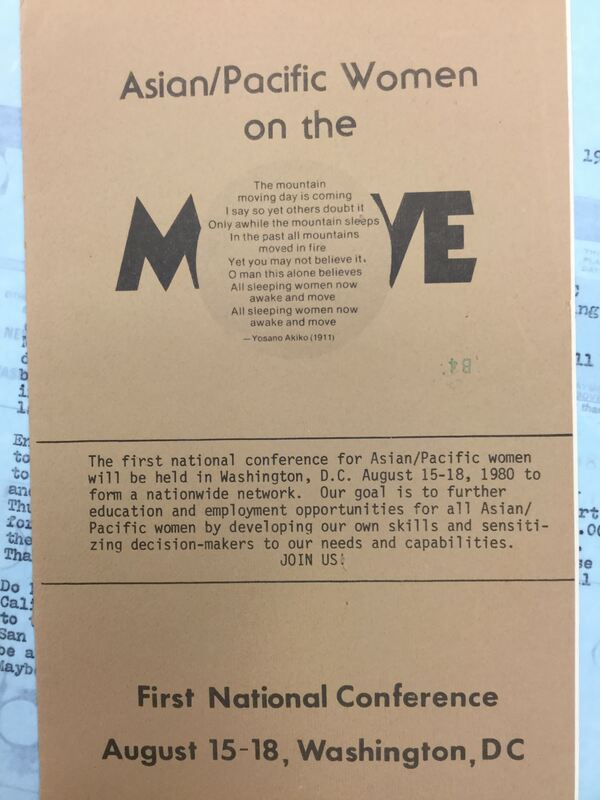 The NWC also inspired Asian American and Pacific Islander women to organize the first state-wide conferences in California, Hawaii, and New York, culminating in the first nation-wide AAPI Women’s Conference in Washington, D.C. in 1980. 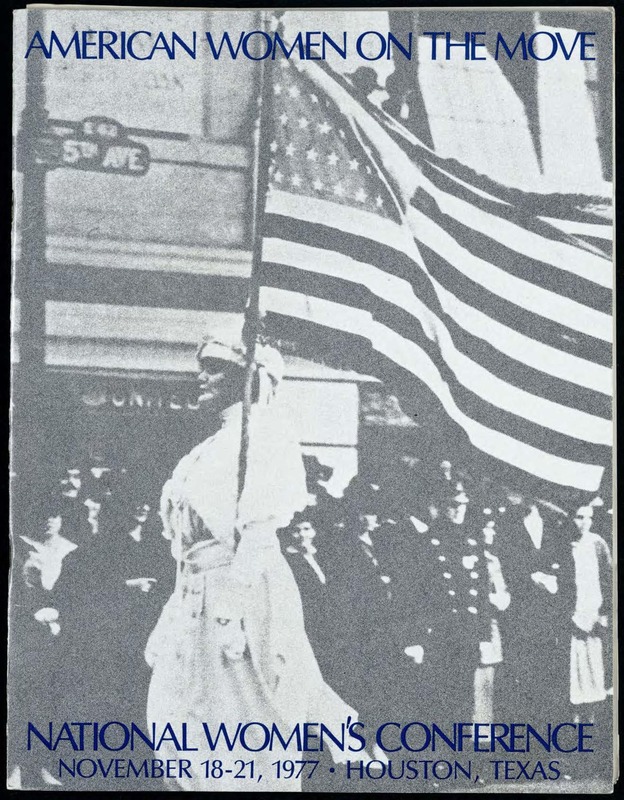 We will be presenting to scholars, students, and community activists as they explore the contemporary significance of historic women’s activism. Please help us travel to Houston to share our research! Your generous gifts will be distributed equally between all student participants. Thank you! “I’m very optimistic about the world and people...it will be alright… You can make changes. I think just one small person can make a little bit of change.” Your contribution of $10 to AAPI Women on the Move will cover the cost of a meal for one student. Thank you for your kind donations! “Remember that consciousness is power. Consciousness is education and knowledge. Consciousness is becoming aware….Tomorrow’s world is yours to build.” Your contribution of $25 to AAPI Women on the Move will cover the cost of local transportation for a day and will bring us a step closer to activist role-models, such as Yuri Kochiyama. Thank you for your kind donations! “Activism can be the journey rather than the arrival.” Your contribution of $50 to AAPI Women on the Move will cover the cost of meals for a day for one student. Your donation brings us a step closer to our journey! Thank you for your kind donations! “If there is one field where women must be especially self-sufficient, it is politics.” Your donation of $100 to AAPI Women on the Move will cover the cost of lodging for two days per student. Thank you for your very generous donations! “We need to raise our voices a little more, even as they say to us, ‘This is so uncharacteristic of you.’ Invisibility is not a natural state for anyone.” Your gracious donation of $300 to AAPI Women on the Move will cover all airfare costs from Southern California to Houston, TX for one student. By donating you help us bring our voices to the conference. Thank you for your gracious donations! “It is easy enough to vote right and be consistently with the majority. But it is more often important to be ahead of the majority and this means being willing to cut the first furrow in the ground and stand alone for a while if necessary.” Your gracious donation of $500 to AAPI Women on the Move will cover the cost of lodging in Houston for ALL students. Thank you for your very gracious donations!